Once again yet another river season has drawn to a close, only this one has ended on a whimper rather than a bang which is a complete reverse to how it started. The season started off the back of my most successful Bream fishing campaign to date. I was lucky enough to catch a few double figure fish including four fish with a combined weight of a fraction just under 48lb which isn’t bad going for round here. I only had one target for this years coming river season and that was to get my first double figure Zander from the Trent and I wouldn’t fish for anything else until I achieved it. So, the New Year hasn’t exactly started with a bang but that’s ok because I didn’t expect it to. I’ve had a couple of trips out fishing for Zander, both of which resulted in blanks but I’ve learnt quite a bit on those two trips and also come to the conclusion that one of my rigs needs tweaking. In between those two trips i’ve been walking the river bank on a new club water checking out a few Perch swims. It’s completely different to what i’m used to with it being more like a drain than a river but a fresh challenge is always good and i’m planning a trip there this coming weekend. I know it’s done some very big fish and the chance of beating my pb Perch is on the cards. What a start to the new year that would be. As for plans for 2017 I can’t say that I have any hard and fast plans. I’d like to up my pb tench and i’d like to do a bit of Eel fishing in the Summer but the rest I think i’ll just play by ear. I’ve added a new heading showing my decidedly average list of PB’s. It’s by no way full of big fish by today’s standards but i’ve added it really because i’ve misplaced all my written diaries that i’ve been keeping since 1985. I always look forward to the start of the river season however I always find the period between 16th June and 1st September a bit of an anti-climax. The days are too long to fish all day meaning sessions have to be done early morning or in the evening. I’ve always found morning to be a lot more productive although to get on the river in time for daybreak would mean getting up at 2am. Personally I think mornings are better because the water will be slightly cooler as it hasn’t had all day to heat up. The fish are slightly more off guard too as they won’t have had people trudging all the banks scaring them off into deeper water. The weather is also too damned hot to fish comfortably aswell much of the time. With the exception of Barbel I can’t remember catching many other specimen fish during the height of Summer. Masses of small fish make it very difficult to target larger fish and constant little plucks on the rod tip means your bait is getting whittled away to nothing. So during the close season I have been having a think about what to do during the period of high summer. There’s one species of fish that I have really struggled to get my head around and that is the Zander. I struggle with everything about it. The fact that it seems to feed more at night, it hates resistance, the fact that Pike always get to my deadbait before they do and they seem incredibly illusive. Everyone I speak to says that they are everywhere now in my local canals and rivers. Well i’m sorry but I can’t find them anywhere. That is why i’m going to make a conscious effort to fish for them at night during the height of the summer months. Everything about it makes sense. I can be on the river when no one else is about, I’m fishing at the perfect time to catch a decent Zander, I get to be on the river bank at first light when the fish are at their most active and knowing my luck with Zander I still get to have a decent nights sleep. Depending on how that period goes will determine what I fish for starting in September. I’m quite fancying a couple of sessions fishing for Barbel. I haven’t fished seriously for them now in about 4 years. My regular spots started to become a bit overcrowded so I decided to move on. I still have a day ticket stretch of the Trent that I know will still produce even in the day although the average size isn’t massive. I’ve also got a couple of stretches on my club tickets that I haven’t tried yet so i’ll also be giving them a go. 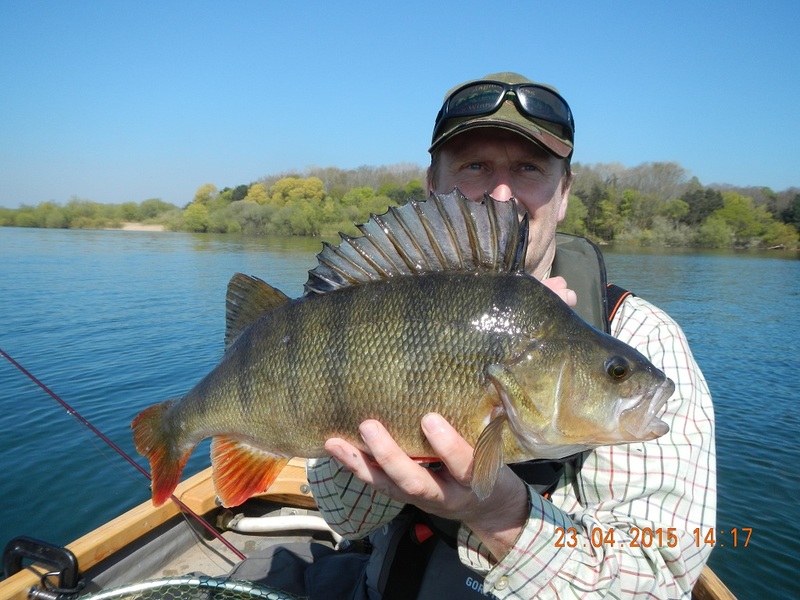 Of course a few Perch sessions will be on the cards starting in Autumn. My passion isn’t as strong for them as it was last year but that may change if I get a decent one. I think i’ll just have to play it by ear with that one. I’d love a 5lb fish from one of my rivers, in particular the Trent. I’ve seen a fish well over that size when feeder fishing last season so it would be rude not to have a few sessions going after it. One fish that still haunts me to this day is a monster Chub that I lost a couple of years back on my local river. I remember reaching down for the net just as the hook pulled and seeing a Chub the depth of a football make it’s escape to freedom. Don’t ask what size I think it was because I honestly can’t put a weight on it. I’ve caught a few Chub over 6lb with the biggest going 6.8 but the one I lost was significantly bigger than that. Every now and then a water will throw up a freak of a fish and I think that was one of those times. It’s funny because it was the only time I have fished that spot and you would think that I would have been in a rush to get back there but for some reason i’m not. I can’t explain the reasons why other than it churns my stomach everytime I think of that fish. Having said that though it would be nice to break the 7lb barrier this season if possible but i’m not going to go all out to target one. You never know it might pick up my deadbait that I have out when targetting Zander. I also plan to fish a few new swims on my local rivers this year. Mostly they are swims that I never got around to fishing last year. I was also lucky to fish the upper-middle Ouse and upper Thames last year. I thoroughly enjoyed it and I always like to try different rivers so i’ll be hoping to get back down there again this coming season. Most of all though I just want to enjoy what i’m doing. I had a fantastic season on the rivers last year and it maybe difficult to emulate it this year. That’s not to say I didn’t experience some hard days though because I did. The expectation that I was going to catch though was always there and as long as you have that, then I don’t think you’ll go far wrong. Tight lines for the season ahead. I’ve added a page containing pictures of some memorable catches. Some are of big fish and some are of small fish. They’re all memorable in their own way to me.